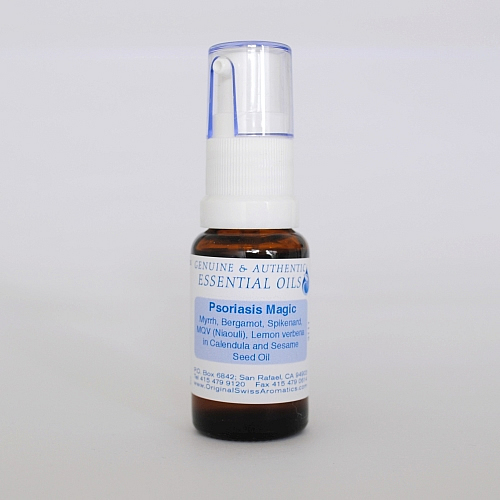 Psoriasis Magic clears the confusion that has caused the body's immune system to fail its protection against psoriasis and thus gently heals this extremely uncomfortable condition Restrained conventional medical language will say the exact causes of Psoriasis are not known. More alternative phrases found on the internet culminate in: “Psoriasis is a puzzle.” The response of the immune system to Psoriasis is not particularly forceful or defined. This supports the view that Psoriasis is a condition which reflects, at least to some degree, a condition which is not exclusively caused by outside factors but is also a reflection of a slightly confused self. 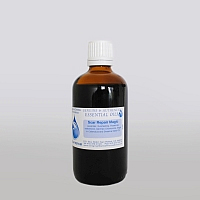 Essential oil treatment aims at rectifying this confusion. 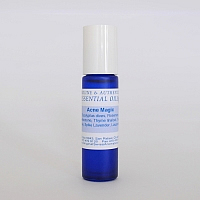 The main component of the blend is Nardostachys jatamansii, an oil originally recommended by Dr. Dietrich Gümbel to rectify almost every skin problem. 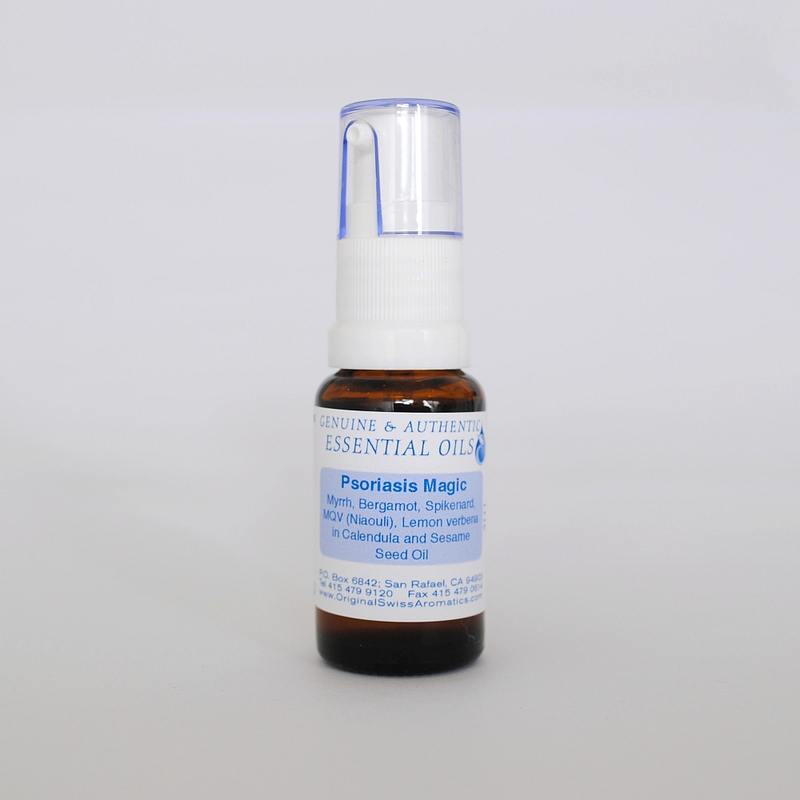 Nardostachys jatamansii essential oil is extremely well tolerated on the skin and regenerates most gently. The original impulse to use this oil for skin treatments was almost certainly stimulated by an anthroposophical view of the plants open, in other words eternal, life cycle. Spikenard is complemented by a minute quantity of Moutain Savoury, with its forceful stimulating components, MQV with its unrivaled restorative powers and Lippia citriodora balancing nervous and endocrine systems. Apply topically at least 2 times daily. Ingredients: Myrrh, Bergamot, Spikenard, MQV (Niaouli), Lemon verbena in Calendula CO2 extract and organic cold pressed extra virgin Sesame Seed Oil. Works well and convenient pump too! I use this on my sons knees. He said it stops the itching and the pump style makes dispensing it easy. Thank you.